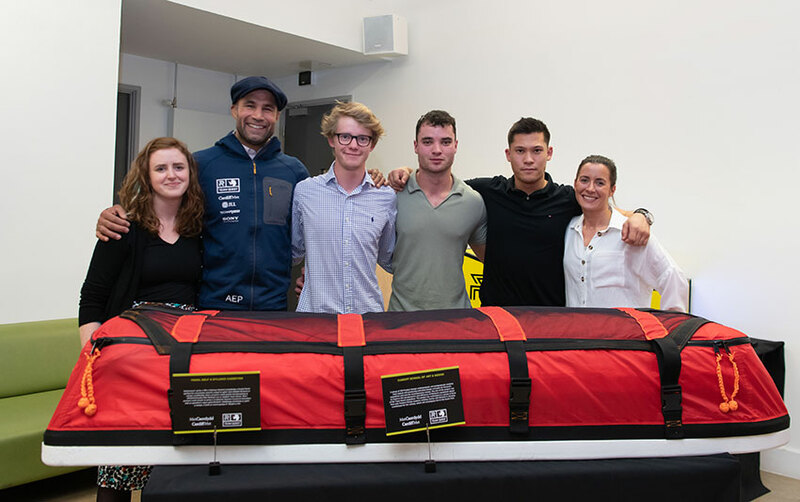 Richard Parks, ex-international rugby player, extreme endurance athlete, and world record holder. A fairly impressive résumé? I thought so, and certainly not a person I thought I’d ever meet – let alone have the chance to design for before graduating university! Checking out Richard’s original sled to see what improvements we could make. I first met Richard in my second year of Product Design at Cardiff Met’s Cardiff School of Art and Design. All three year groups and the masters’ students had the chance to take part in a 48 hour live brief. 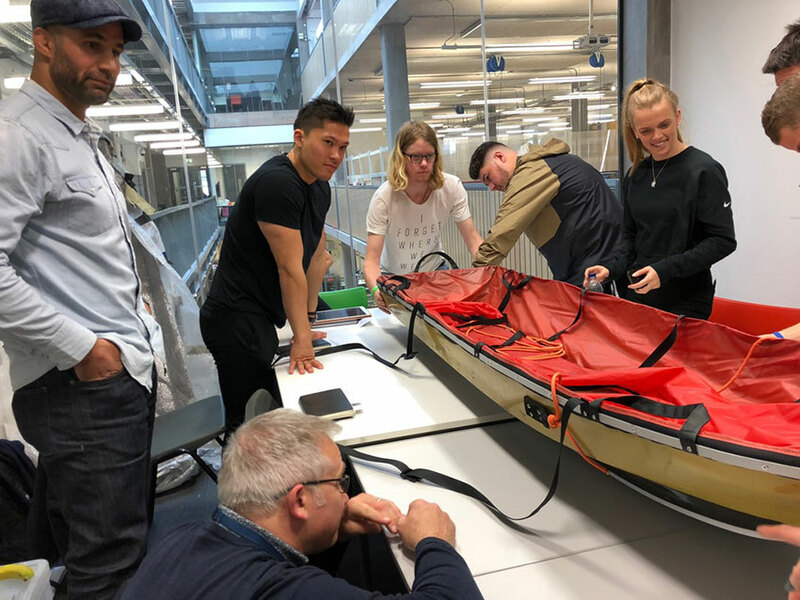 The brief was to redesign Richard’s Antarctic sled for another upcoming expedition to the South Pole, and it was a fantastic opportunity to work with students across all the year groups on the course. 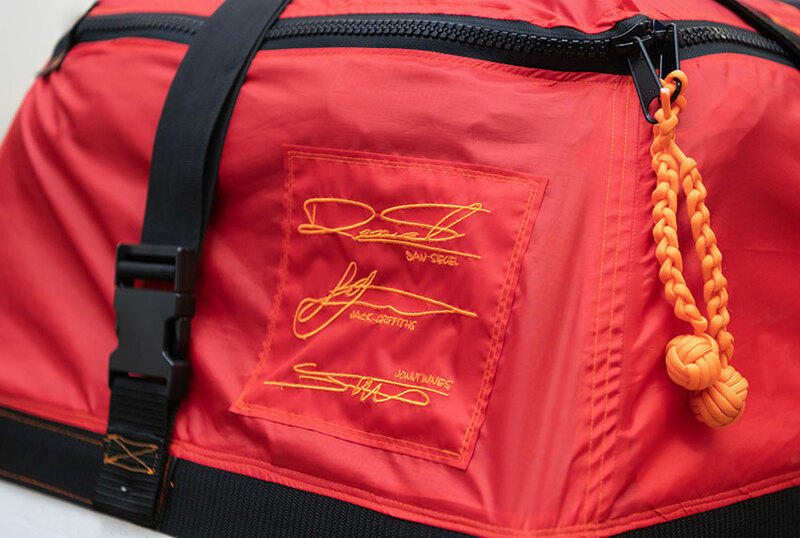 To give you an idea of the sort of challenges Richard’s new sled would have to survive, in 2011 he set the world record for summiting the highest mountain on every continent, and skiing to the North and South Pole, all in less than one calendar year. 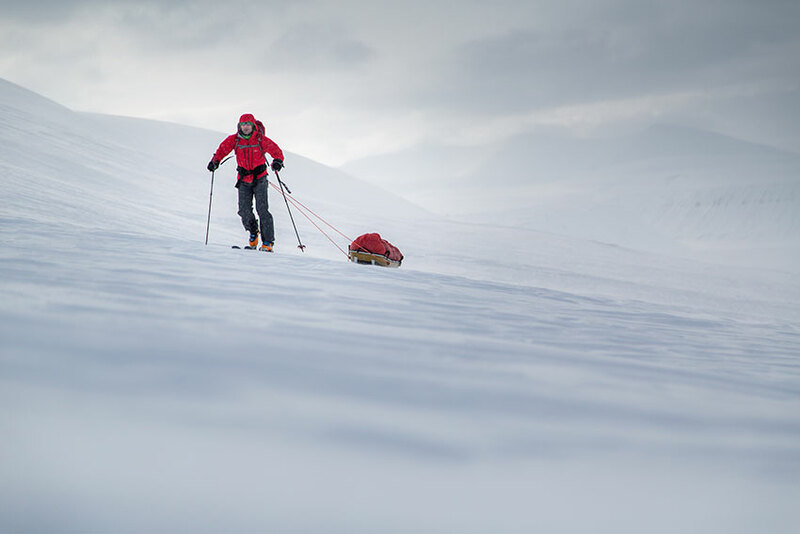 He’s also the first Welshman to ski solo to the South Pole, and holds the British speed record for the same challenge. No pressure then! Our designs had to be able to stand up to lots of punishment during Richard’s trek to the pole. This time, he asked if we could redesign and manufacture just the top cover for his sled, as this was the part that had caused problems for him previously. There was loads of excess material included in his old cover, which apparently made a racket flapping about in high winds, driving him mad – and that’s before considering what it added in terms of aerodynamic drag. 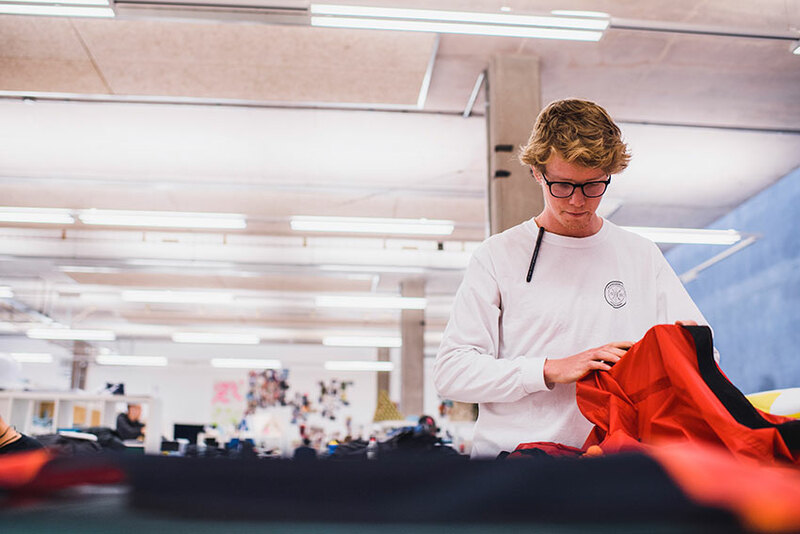 Myself and Dan Siegel from the BSc Product Design course took on the challenge, along with Jack Griffiths from the BA version of the course. The project was a fantastic experience, and a steep learning curve from start to finish. In total it ran for four weeks, from getting the brief, to when Richard literally stepped onto the plane! I really enjoyed learning new skills as part of the challenge. Prior to starting the project, I didn’t even know how to sew. However, with the guidance of staff from the BA Fashion Design course, I was competent at operating a sewing machine within four weeks. Sewing wasn’t something I’d ever really considered being interested in before, but once I got in to it, it was the most enjoyable element of the process. Especially being able to produce a piece of equipment capable of withstanding Antarctic conditions! I found sewing much more enjoyable than I expected it to be! The project taught me how to work for a real client in a multi-stage design process under extreme time pressure. 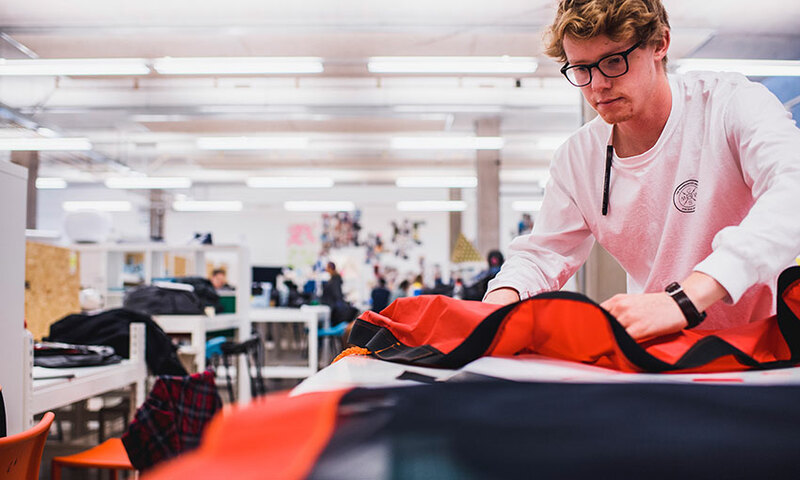 The experience of taking a client’s feedback, evaluating it, and using it to produce a product that they are happy with is invaluable for a design student. Richard was fantastic to work alongside, and his positivity and excitement for the whole project and expedition really was contagious! Posing with our lecturers, Richard and the finished product! 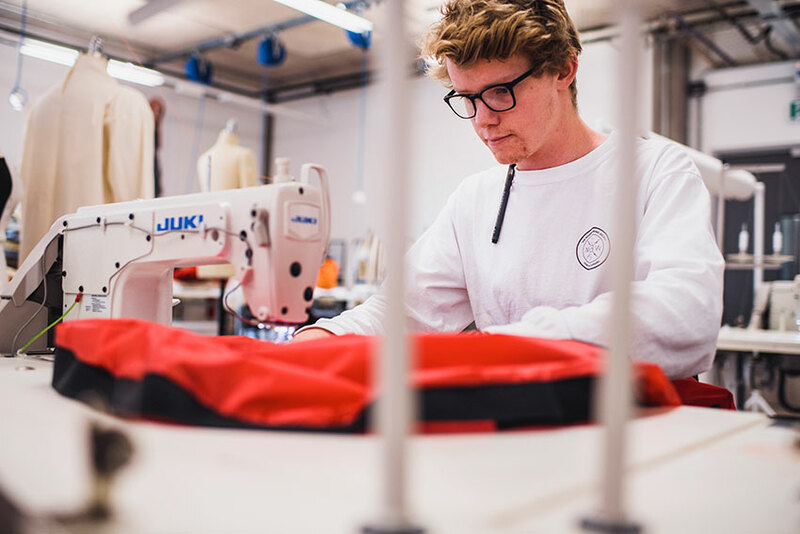 When I graduate from CSAD this summer, I’m looking to get a job within the design team of an outdoor equipment company. This project has not only given me a chance to make sure that this is what I want to do, it will also benefit me in the future as a really strong portfolio piece. We’re extremely proud to have our names on this project – literally! As I write this, Richard is about to start his epic journey. I’d like to take the chance to wish him safe travels, and all the best on his expedition!